As the time for my annual Last year’s favorites post came, I realized that this blog will be celebrating its 4th birthday in February! I would love to say that in these four years it has become internationally successful, my source of income, or something fancy like that- it hasn’t. But, it made me work on my photography and editing, it made me rethink our past travels, it made me write (something that I always loved), and it made me meet such sweet, interesting people, that became friends along the way. 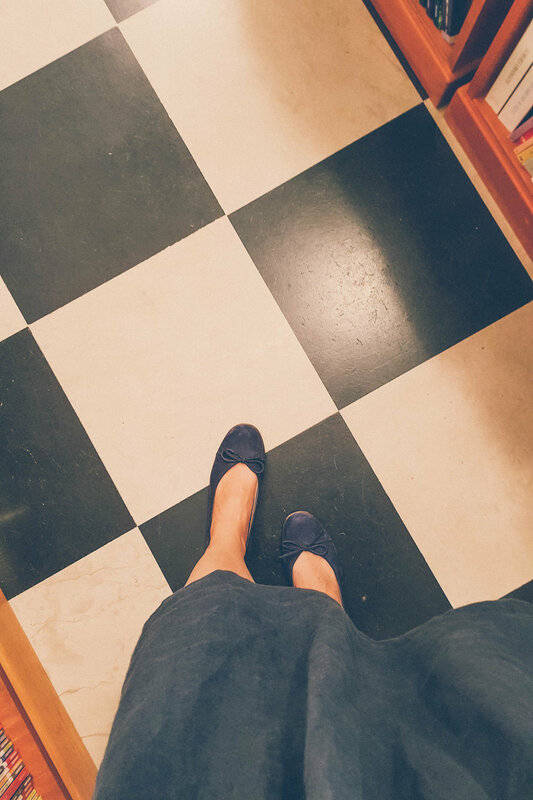 Last year was another year of travel (not as much as 2017 was though), of renovations (two kitchens, central heating, and new floors are on the way! ), of business decisions (I’ll let you know when the time comes), of celebrations (three weddings this year), of music and books and blogs and sport and cooking and movies. I’m happy to reflect on the past year and share the things I loved here with you. Who would have guessed that watching Eurovision can reveal some interesting musicians? And yet it happened. The Portuguese brought to stage their young stars in the making and I’ve been listening to their music ever since. Namely, they are Mayra Andrade, Dino d’Santiago, Branko, Sara Tavares. Their music is refreshing, modern, cool, original. Better than anything new I’ve heard in a long time. I also have to admit that C4 Pedro’s latino summer jams have been the ultimate mood booster last year. There was not much going on musically in Croatia in the last few years, not really. I remember the times when Mstislav Rostropovich, Mischa Maisky, The Rolling Stones, Al di Meola, and Bobby McFerrin used to come, now it’s Luis Fonsi canceling concerts in Zagreb. So to our surprise, last year saw a proper jazz festival in Pula! Some big names of jazz came and we managed to hear three of them- namely, Christian McBride and his Big Band, James Carter’s Electric Outlet and Lizz Wright with her band. All three of them were great and we truly enjoyed some good music in Pula, but Lizz Wright is still, after months, playing in our home. I don’t think I’ve ever heard a voice like that live. I seriously have to start writing down the movies I liked as soon as I watched them because otherwise, months go by and I forget half of them. However, here is the list of movies I do remember. The Lunchbox (Dabba)- exactly the kind of movie I like, telling a love story without drama and glamour, while also making a sketch of the city of Mumbai and its mouthwatering cuisine. Don’t read the plot, as it reveals half the movie. Three Billboards- should have won The Best Picture award but no one asked me. Anyhow, if you haven’t watched it (which you probably have), I’d strongly recommend it. Storytelling, acting, scenography, music, everything is just perfect. Lady in the van- this movie is based on a true story of an unlikely friendship between a homeless woman and a writer who let her live on his driveway for 15 years. I loved Maggie Smith’s performance, somehow evoking her role of Professor McGonagall in the Harry Potter series. The Bookshop- a movie that follows a story of a woman who decides to open a bookshop, in a village in East Anglia, in the fifties, despite the discouragement of the local community, with Bill Nighy and Emily Mortimer in it and lovely, decent costume design and scenography. I loved the quote “No one ever feels alone in a bookshop.” Need I say more? The Florida Project- one of my favorites from last year, and the movie that (rightfully) stirred some spirits over the Academy almost completely ignoring it (I just can’t believe that The Post, which I found quite dull was nominated for Best Picture, and this was not). The movie follows a summer in the life of mother and daughter living in poverty in a motel in Florida’s colorful area next to Disney World. Both of the main actors never acted before (the director found Bria Vinaitte on Instagram! ), and both of them were ingenious! I just couldn’t understand how the director Sean Baker made a 6-year-old Brooklyn Prince act so naturally that it really looks like a documentary. Then there is original scenography with all the neon colors and tacky, slowly crumbling architecture of the amusement parks. If you watched and loved this movie, then I’d recommend Starlet, another movie by the same director. Like The Florida Project, this movie is at the same time raw and uplifting. Things to come (L’ Avenir)- I love watching non-Hollywood movies, as I always find them more honest and closer to life. Things to come is a delicate story of dilapidated marriage and the ways of finding a new life path after the one you expected falls apart. Lady Bird- I seem to like every movie that has Saoirse Ronan in it, but that part aside, Lady Bird is a seriously good movie. It’s a coming of age story of Lady Bird, a girl desperately wanting to outgrow her small town and to let loose from her rigid mother. Her path is both strongly emotional and (laughing out loud) funny, the relationships between main characters are intense, but the movie left me with a warm, lighthearted feeling. The Escape- another very much non-Hollywood movie, that tells a story of a wife and a mother so profoundly unhappy with her life, that she makes some decisions a lot of people would instantly tend to judge. Only, the director found a way of putting a viewer into her skin, evoking empathy and making you rethink the pressure and the expectations the society has been putting on women since, hm, forever. Gemma Arterton did a very good job in portraying that character. Leave no trace- a story about father and daughter living secretly in the woods of Oregon, escaping the society and social services. Throughout the movie we find out that the father is a veteran whose experiences left him incapable of living in a society- when his daughter develops feelings and the need of being surrounded by a community, their world is shaken. It is emotional, raw, back to nature kind of movie, that left me thinking about how life could be simple and our needs should be simple- if we choose that point of view. The Dressmaker- I had doubts of including this movie on my list, but thanks to its quirkiness, costume design, and scenography, here it is. The story of a woman coming back to her hometown with the idea of both opening a dressmaking business and taking vengeance for her unhappy childhood, caused by the same people she wants to sell dresses to. The movie is made like a theater piece and is definitely surreal in a way of Grand Budapest Hotel. Patrick Kavanagh’s The Green Fool. As soon as I read the description on the back I knew I was going to like it. And then came Kavanagh’s writing and the recollection of his upbringing in rural Ireland, that I not only liked but found genius, hilarious, vivid, sincere. The dialogues in a dialect, the stories that sound something like the ones my grandpa tells us of his childhood and youth, his clever observations, the simple and the poetic in his sentences made me read this book like a treat. And made me wonder at how life changed in only one person’s lifetime. Andrzej Stasiuk’s On the Road to Babadag. Stasiuk is a traveler, with completely different taste in travel that seems to be popular, ever-present and even imposed upon us today. He is not looking for the must-sees (it even sounds blasphemous to say in the same sentence), he despises the metropolis, the shiny landmarks. Instead, he is traveling on the side roads of Eastern Europe, looking for the crumbling, fading past, poverty, dilapidated life of people that still live with their stock, unchanged since the very beginnings, untouched by the modern society. Ueda Makoto’s Matsuo Basho. I never thought I would end up loving or even remotely understanding haiku, but yet it happened. Professor Makoto Ueda assembled here Basho’s haiku, haibun, and renku, accompanied by his critical commentaries and explanation of Japanese literary forms, historical and social circumstances, Basho’s life and the meaning of his writings. 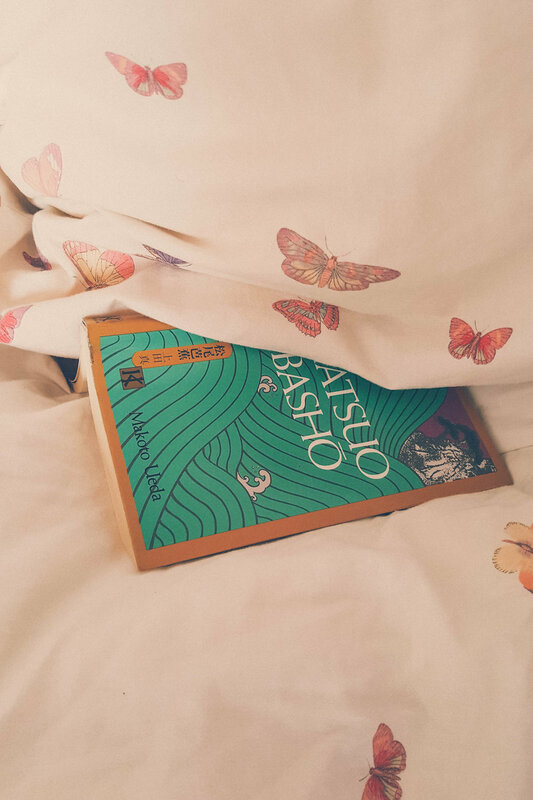 When it comes to Basho’s poetry, I came to like it so much, that I re-read much of his haiku, soaking in the atmosphere, his clever use and play of words, and that strong Japanese appreciation of beauty, which Western folks sometimes lack. Natsume Soseki’s Kokoro. I’ve read this book prior to our trip to Japan, and much like Basho’s poetry it brought me closer to Japanese culture, and if I might say so without sounding pathetic, soul. There is Japan of skyscrapers, bullet trains, industry, and neon lights, but there is also traditional Japan that (as I often read) started to fade away after Emperor Meiji’s death, giving way to modern society. But upon reading Kokoro and visiting the country, I could still very much feel the atmosphere of this book in today’s Japan. It is a story of friendship, betrayal, respect, responsibility, and I can’t say much more without revealing the entire book. It is very atmospheric, calm, profound read, but not boring in any way. Julie Zeh’s Decompression. While this book isn’t of the same artistic quality as the other ones on my list, it definitely falls into the category of books that you won’t be able to put down. Julie Zeh is a careful, intelligent observer of people and their relationships, and she skillfully creates a tense atmosphere. Since the story is taking place on the Canarian island of Lanzarote, and much of the drama is taking part underwater, I’d say that this book is a perfect summer read. Miss Moss is a design, art, photography, fashion, sometimes travel and lifestyle blog from Diana Moss, a designer from Cape Town. I think I was searching for the artist David Hockney when I stumbled upon an article about his house on Miss Moss, and that was when I thought “this is the stuff I should be reading more often”. I think that article portrays the general mood of her blog very well- it’s colorful, bit quirky and artsy! I also enjoy her sense of humor, mostly through her tweets and stories. Não me mande flores is another blog on art, photography, design, fashion, culture in general, written by Camila Faria, a writer from Rio de Janeiro. I always find something amusing on her blog, and always wonder how she manages to find and pick the best things- especially in photography (these photographs reminded me of before mentioned The Road to Babadag). 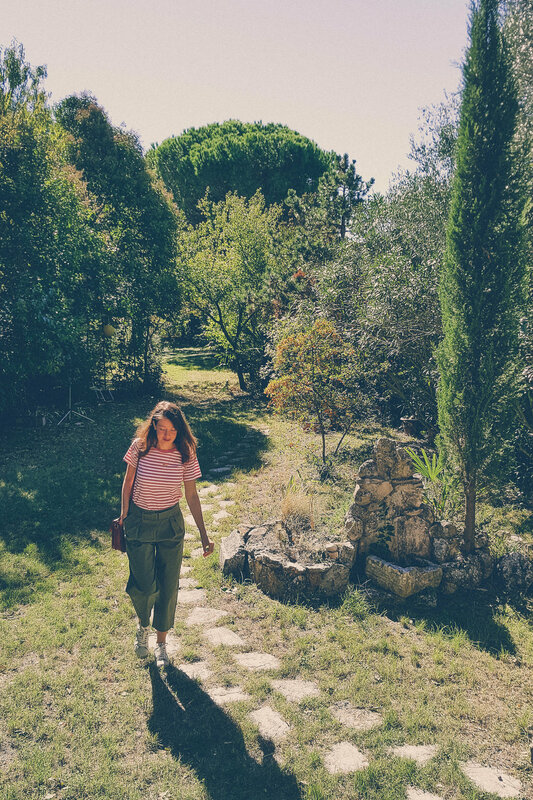 The Gap Life Diaries is one of the rare travel blogs I read from cover to cover, because Emma, a Brit living in Turin (how fun!) is telling travel stories, which I enjoy far, far more than “What to sees” and “Must dos”, a type of writing that has spread like fire in the travel blogging world. Back to Emma and her storytelling- well, she is a very skilled writer, witty and funny, and she manages to hold my attention throughout her entire narrative (no matter the fact that my focus is far more shorter on any kind of display than on good old paper). Last year, during our trip to Turin, we managed to meet with Emma and her boyfriend- they both turned out to be sweet, interesting people, and I can’t wait to meet them again (maybe in Croatia this time)! Her Travel Edit is the other one of the rare travel blogs I truly enjoy reading, written by Tanmaya Godbole, an engineer living and working in New York, traveling the world, and publishing her articles more regularly than I do (I’m starting to think that she is a sort of a wonder woman). Wonder women impression aside, we also got to meet Tanmaya and her husband Andrew during our trip to Japan, and they were both, as expected such kind, again interesting people, with whom we hit up immediately, as if we knew each other since forever. The funny thing is that Tanmaya and I have been following each others travels and befriending each other on Instagram for maybe a year when at the beginning of last year, we found out that we’ll be visiting Japan at the same time! What a coincidence, except, our itineraries were parting, and if it wasn’t for Tanmaya’s will to shorten their trip to Kyoto, we wouldn’t have met! And wouldn’t have eaten the best chicken in Japan, in cool Tokyo Shimokitazawa neighborhood (more about that soon). Cheddar Apple Pies from Reading My Tea Leaves. The combination of cheesy pastry, sweet apple, and savory onion blew our minds. Instead of sage, I used rosemary and it went really well together. Pumpkin and Chickpea Curry from Jamie Oliver. Indian food is a revelation to me (even though I’ve never tried proper Indian food, only the one I cooked at home and the one I tried in a really bad Indian restaurant in Zagreb). This recipe is my favorite, so fragrant and creamy. I usually make rice and naan bread to go with it- a real feast. I use this recipe for the naan, it’s very good! Finnish Cinnamon Rolls from My Blue and White Kitchen. I’ve been wanting to try cinnamon rolls for ages, and I’m not sure why didn’t I try making them before, but one day my parents were coming over, I’ve put together a quick lunch and then took some time to make these fluffy, fragrant buns. Everyone was delighted- they were so delicious still warm from the oven, and when they cooled down, they were a perfect breakfast with a glass of milk. The recipe is exact and easy to follow- the only thing is that I made half of the dough because the original recipe is for 30 rolls and I never have enough patience to roll all 30 of them. Last year was a year of revisiting our favorite places from the previous years, but also of one autumn trip that reminded us of the perks of traveling someplace new. We opened the travel season with a short skiing trip to Italian Val di Fassa. We switched from Austria to Italy in the last few years, getting used to beautiful Dolomites mountain scenery and well-kept slopes. Five days of crisp mountain air, hearty food, hot drinks, soaking in the sun and the intense physical activity was a perfect start of the year. 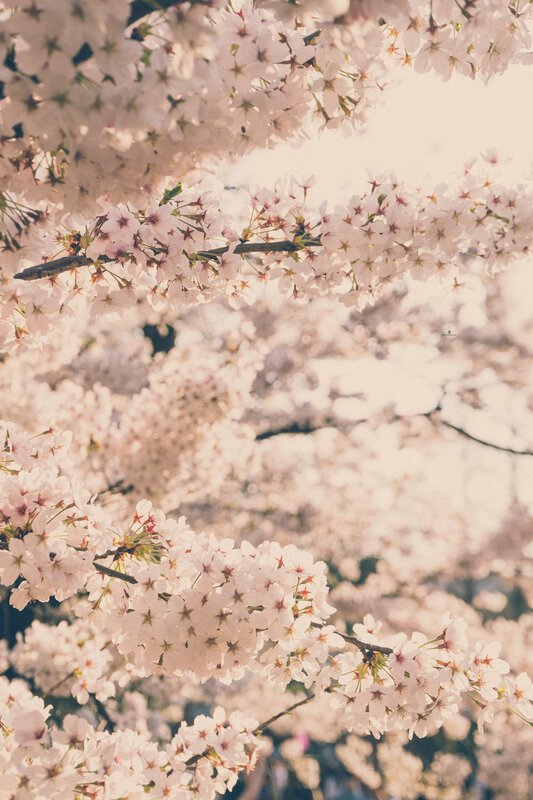 The beginning of the year saw us longing for Japan again, and even though there was some talk of traveling to other places, like South Korea, or Norway, or Scotland, Japan got under our skin in 2016 and our feelings just intensified as the time passed. We booked the tickets in January, spending the next two months watching Japanese movies and YouTube videos on Japan, reading Japanese books and blogs, raising the level of excitement. In March we traveled to Japan, where we stayed with friends in Tokyo and then did a road trip around the towns of Takayama, Nagoya, Iga, Shigaraki, Kobe, Okayama and the island of Naoshima. From Tokyo, we made a day trip to Otaki, Chiba Prefecture, where we were hosted by Yuko and Hiroshi, a very inspiring couple who ventured on a change in career by opening the coolest distillery I’ve ever seen or heard about (you should check it out). Thanks to them, and all the other lovely people we met during our trip, it turned out to be as beautiful (if not more) than the first one and left us with a longing for coming back again. We spent April and March at our home in Istria, making day trips and taking advantage of the low season on Cape Kamenjak. I think Istria is at its most beautiful exactly in that period, as the weather is warm and sunny (but without the summer heat), everything, and I mean everything is in bloom (I especially enjoy the pink chestnut blossoms and irises), it is the season of wild asparagus and crabs, and all that without the crowds. We had my parents coming over for a couple of days, and then our friends Alex and Alicia from London- my parents were enchanted, “as if they’ve been to vacation in Italy”, they said; Alex and Alicia accused us of arranging beautiful sunsets just for them and even dared swimming in (for me still too cold) sea. 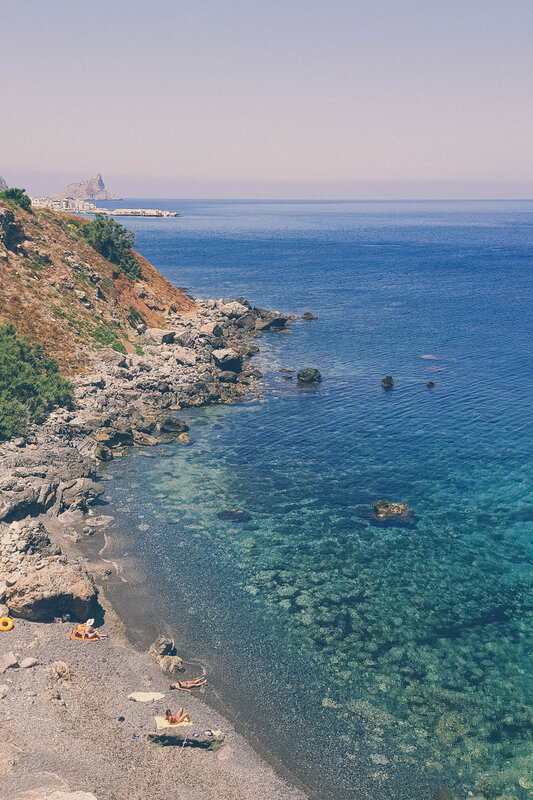 In June, we returned to the Sicilian island of Marettimo, one of my favorite places in the world, the one that I both want to keep a secret and talk about all the time. In 2017, we went to Marettimo for 3 days, as part of our Western Sicilian road trip. We were enchanted by its remoteness, the most beautiful sea in the world (not an easy confession from a Croatian), whitewashed houses with blue shutters, the fact that there was no cars and no roads, its people and the secluded atmosphere. So last year, we went back for a week, it was our summer holiday. On our second visit, we befriended a group of locals, and it made all the difference: they took us on an improvised night boat ride with pizza and beer, they invited us for dinner in a deli that turned out to be a slow food fort of Sicily, they were the best company in La Scaletta Bar each evening- a place to be, overlooking the port, with music and drinks and tapas style food brought to you just because. We still keep in touch and can’t wait for this summer- Marettimo has become a tradition. We spent the summer between Zagreb and Istria, with a couple of days camping on the island of Cres. Another tradition of ours, that we’ve been sticking to for about 5 years I think. Camping on Cres consists of: reading in the hammocks, swimming in the sea by the camp, evening walks to the town of Osor where we have a beer and listen to the sound of music coming from the cathedral (a classical music festival is being held there each year), frying fish, calamari or eggs on a little camping stove, sipping wine in front of our tent, sometimes befriending, sometimes keeping distance from the neighbors, visiting the town of Cres for the best scampi in the world (I’ve said that a million times), hiking to one of the pebble beaches and watching the most beautiful sunsets from the rocks below the camp. Summer for us means a couple of days on Cres. In August, our friend Brandon visited us in Istria, so we took him on a day trip to Istrian hilltop towns. This time, the ones we’ve never visited before (funny how despite living in Istria, there is always someplace new to discover!). We spent a day in the town Oprtalj (where we had truffle pasta for lunch with local wine and a view), in the almost abandoned town of Završje which looked like an ivy-clad fairy tale castle, and a winery with a view of the Mirna valley and a terrace to have your glass of wine at. Last year, our friend Bax rediscovered the Slovenian town of Olimje for us. I’ve been there before as a student, on a day trip with our Baroque architecture professor. Even though I liked it then, it had never occurred to me to visit again. The three of us went there a couple of times last year, as it is just over an hour drive from Zagreb (where we spend our time when not in Istria). In Olimje, we already established a routine: first, we visit the monastery (a beautiful castle adorned with quadrifoils- a specific detail of this region), where the Friars have a pharmacy selling their own natural remedies. We chat a bit with the friar, then buy some folk medicine (as Bax calls it)- mostly teas and herb liquor whose property is to make you feel better (and it does). Then we walk around their herb garden a bit and descend to the Čokoladnica (that is the chocolate shop). After we load ourselves with the chocolate covered figs, oranges, plums and pralines filled with before mentioned herb liquor, we go for lunch at Jelenov Greben restaurant above the monastery. The translation of its name would be something like “Deer’s crest”, so as you could guess their main specialties are deer dishes. But, they also make a delicious mushroom, ricotta cheese, pumpkin seeds and oil spreads and a buckwheat risotto that I quite like. After the lunch, we browse around the property a bit and then head home with non-obligatory stoppings at a small beer brewery, or a winery nearby, or a good little bakery in the town of Podčetrtek. One day we will also visit the nearby Terme Olimia, which look quite fancy from what I recollected from the internet. In October, we finally got to travel to Turin, a city we longed for visiting for years. Turin turned out to be as charming as expected (if not more) and we also got to meet Emma from The Gap Life Diaries I mentioned before. 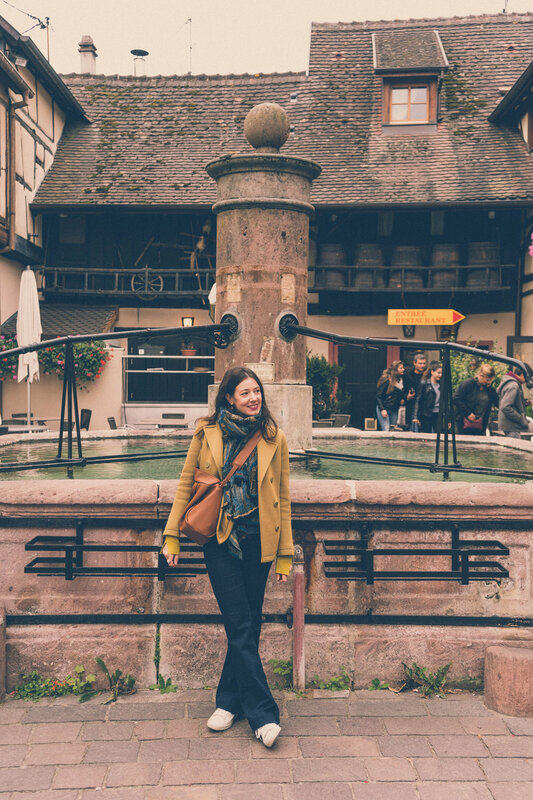 Emma was so kind to write an extensive guide for us, so this was the first time that I didn’t need to frantically search for restaurants, all the good ones were in her email. There was some secret local knowledge as well, so we got to dine in a trattoria tremendously popular with local youth, to have tea in a reading club, hidden away on the first floor of beautiful 17th century Palazzo Granieri della Roccia, to have breakfast in a quirky place decorated as some sort of a clinic. That part aside, Turin has incredibly beautiful architecture and public spaces and is just a perfect place for long evening passeggiatas. 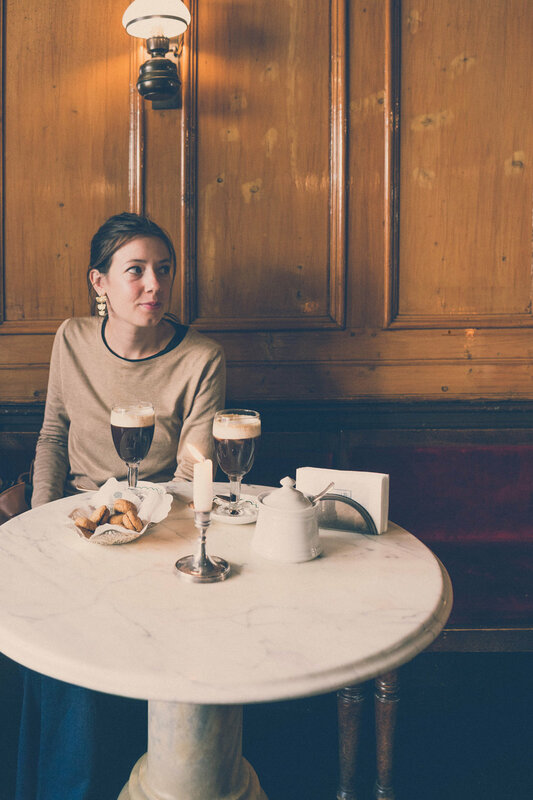 One of our favorite experiences from Turin was an hour we spent in a historic bar Al Bicerin, people watching and drinking coffee with chocolate from 19th-century tables. After Turin, we headed to Badenweiler, Germany, where we were visiting friends. Autumn in Schwarzwald region is a dream- nature bursting with greens and reds and yellows, beautiful in both sunny and foggy weather. Then there were our friends that welcomed us so warmly and showed around all the best restaurants (believe it or not, I love German cuisine, bring me a schnitzel and creamy potato salad anytime), thermal baths we soaked in on a couple occasions, a day we spent riding bikes through vineyards and forests, distilleries that were just making schnapps from their local sorts- the Mirabelle and the Zibarte plums respectively. From there, French Alsace was just a stone throw away, so we took the opportunity to visit fairy-tale villages of Alsace wine route (chalk colored houses with half-timbered facades, flowery streets, fragrant bakeries and all), Colmar (where we sat in the loveliest Art Nouveau cafe run by an elderly couple that served us delicious cakes and thought we were Americans because of our attempt to order things in English) and Strasbourg (with which we were, except for the tasty tartines, disappointed). After our trip to Germany Luka said that he felt as if we spent a couple of days in a warm bubble of prosperity, which I thought was quite a good remark. Another place that we rediscovered last year was Trieste, an hour and a half drive from our home in Istria, a town that we all knew only as a shopping destination while growing up. Neither of us ever gave Trieste acknowledgment of quite a pretty city that it deserves. It seems to us that Trieste also developed beautifully in the last few years: the traffic, that was always hectic is almost pleasant now (except, sometimes we spend half an hour looking for a parking spot), the facades are restored, the restaurants scene (which we’re still exploring) is great, there is Eataly department store on the boardwalk, in a beautiful building overlooking the port, and there is the entire vintage shops scene going on in the center. We went to Trieste a couple of times last year (also thanks to the fact that we bought some of our renovation material there), and now we’re hooked- it’s quite a good thing to have a place you love traveling to so close to home. The renovations we had at the end of the year kept us at home, which made me very excited about this year’s travels. So far, we have booked a trip to London in February (we loved it last time), but I sense some other “going-backs” again. Last year, or at least the first part, we went hiking quite a lot, more than ever before. We spent many weekends of January and February in the snowy mountains surrounding Zagreb. Cutting our way through snowy, Croatian version of Narnia, and then rewarding ourselves with a hearty lunch and a view from the mountain hut is the only thing that enabled us to survive the dull Zagreb winter. In April, we took part in a cooking workshop in Pazin, Istria, organized by Azzri (Agency for rural development in Istria) and lead by the first Croatian Michelin star chef Danijel Đekić. It was more of a presentation of chef’s vegetarian menu (from his restaurant Monte in Rovinj), where we’d get to serve the dishes and then taste them (that was the best part). I think the most useful thing we learned was the chef’s way of thinking and approach to work- straightforward and uncomplicated. In May, our friends proposed a day trip to the Velebit National Park, a place we’ve never been to before even though we wanted to visit for years. From the mountain hut on Zavižan, we made quite an easy route up to the spot where the view of the sea in front and the mountain peaks in the back opened up. We laid there, drinking beer, soaking in the sun and the quietness, watching the falcons fly over our heads. It is one of the most beautiful sceneries I’ve been to, and I’m longing to go back, this time for a couple of days. 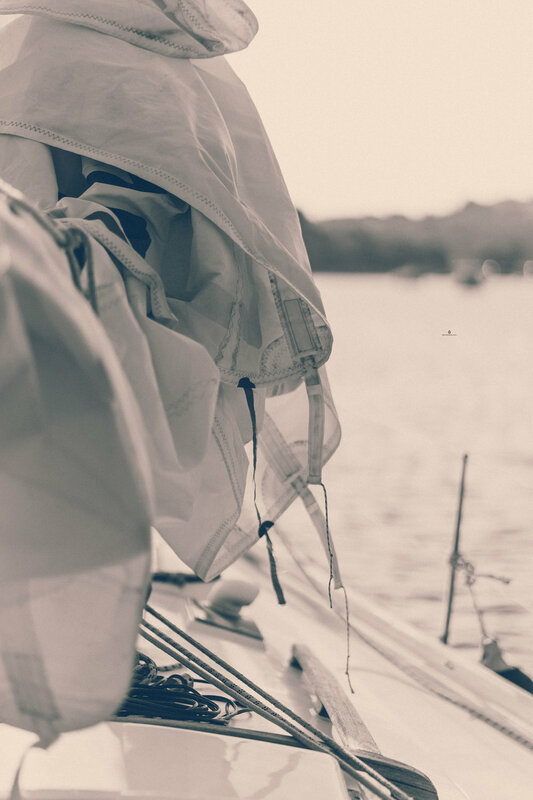 At the end of the summer, our friend Art invited us on a day trip with his sailing boat in Pula. 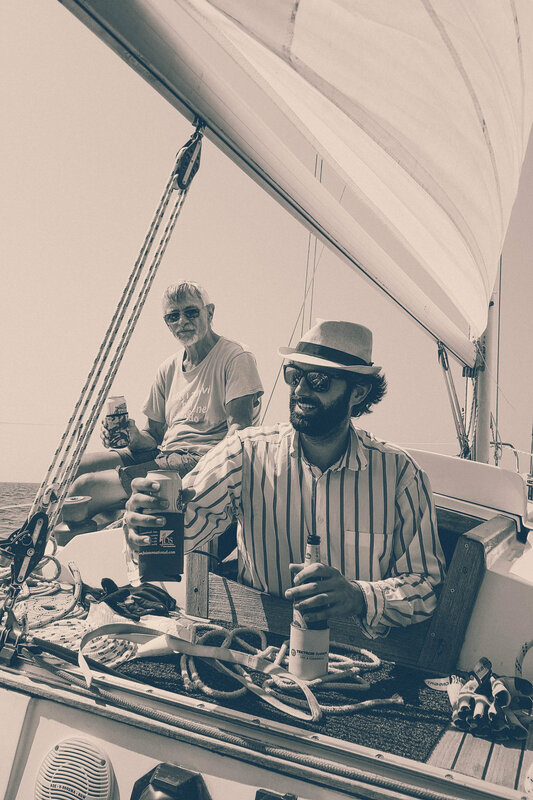 We obviously accepted the invitation with enthusiasm and spent a beautiful day sailing around Pula, listening to jazz, drinking beer, jumping in the water, eating a lunch that Luka’s grandma had prepared for us the day before. We were hooked, so Art invited us a couple of times more- on our last sail we encountered a flock of dolphins, and my wish to see them in the sea, so close-by, came true. It was one of the most memorable moments of last year. I finally started regularly exercising again last year, and I feel so good about it. Since our life is split between Zagreb and Istria, it is hard for us to keep to some routine- but, last year I found a Youtube channel called Yoga with Tim and it turned out perfect for both of us. I’ve been wanting to try practicing yoga for quite some time but given our lifestyle, it was hard to take a course and when I found Tim online I instantly liked his style. His workout routines are challenging, but still responsible to the first-timers; he found a good balance between workout and philosophy (that is, more workout, less philosophy) and he explains the poses quite well. Here is his channel, should you be interested. Last but not least, Luka developed a new interest (or maybe a passion?) last year, the one of distilling. In the winter already, he was cooking Gin on the terrace of our apartment in Zagreb, in the fall- he fermented and distilled the figs, grapes, and apples growing in our garden in Istria. Inspired by all the unusual spirits we tasted during our distillery tour of Schwarzwald, we already have in mind a couple of tasty ideas for this year. I was never much of a compulsive shopper, and I always preferred a couple of quality items that I really love to a mass of things I don’t even use that much. With today’s knowledge of the conditions in which the workers are producing “cheap” items that are to be worn a couple of times and then discarded, the low quality of materials (I had bought things in the past that would have holes in them after the first wash), I started to appreciate small businesses, handicrafts and quality. Last year I only bought a couple of things, but I love all of them and wear them over and over again. A bag made by hand by a mother and daughter duo from the JDK bags shop in Padua (I’ve already written about them here). It’s beautiful, practical, and it goes well with everything- since I bought it I’ve been using it pretty much all the time. A pair of blue ballerinas made by a shoemaker Nataša Trinajstić here in Zagreb. Nataša learned her craft and inherited the iconic Zvonimir shop from her father. It is really an institution- my mother used to make shoes there when she was a student. I am waiting for summer now, to order a pair of purple sandals (and I am even more excited because of the anticipation). A pair of trusty Birkenstocks- after my last pair literally fell apart after 5 years or so of non-stop wearing at home, it was time for the new ones. They are so comfy and pretty that I think of rocking them outside as well this summer. Fragonard perfumes- I discovered those fragrances while we were in France almost two years ago. Both of our hosts (a woman in her thirties and a woman in her seventies) had Fragonard perfumes and soaps at home, and they smelled very fresh, very natural. When I found a flowery box with ten small sized selected perfumes in Italy, I had to treat my self! I loved the smells so much that I kept them in a drawer of my night stand and would smell them before going to sleep. All the little bottles are now empty but if I find it somewhere, I would love to buy their Orange blossoms scent. I tried it in France and it transported me to a greenhouse full of fragrant blossoms in Villa Pisani near Padova we visited a couple of years ago. Now, what are some of your last year’s favorites? Did you travel someplace nice, or cook something delicious? Any books or movies to recommend? If you are a regular reader, please say hello at least, it would mean a lot! I have been absent for weeks from my blog. First, we had a beautiful autumn trip to Italy, Germany, and France, gifted with all the warm colors of autumn, misty mornings, sunny days and dear people. Then, when we came back, the renovation works in our home started- they have been keeping me away from my laptop as well as from my home actually.